UPDATE: In July 2017, Liu Xiaobo died after being denied authorization to leave prison and receive treatment abroad for liver cancer. His wife remains under house arrest. In June 2016, Liu Xiaobo, Chinese human rights activist and Nobel Peace Laureate, was transferred to a hospital for liver cancer treatment, a condition worsened by his unjust prison sentence. Liu was sentenced to 11-years in prison in 2008 for “inciting subversion” after coauthoring “Charter 08,” which demanded democratic reform. Charter 08 was signed by over 350 Chinese intellectuals and civic leaders. His wife, Liu Xia, stated he was “beyond treatment.” To express solidarity with him, 154 Nobel Laureates signed a letter urging the President of China Xi Jinping to allow Xiaobo and his wife to travel to abroad for medical treatment. 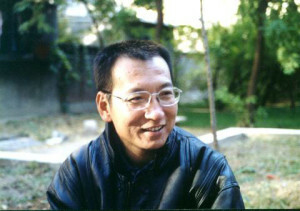 On December 8, 2008, before the formal release of Charter 08, he was arrested and police arrived at his home in Beijing and confiscated computers and other materials. He was a recipient of the 2010 Nobel Peace Prize and the 2009 PEN/Barbara Goldsmith Freedom to Write Award. Charged with spreading a message to subvert the country and authority he was sentenced for 11 years in prison. His wife, Liu Xia, was an outspoken supporter of his until she was also detained under house arrest in 2010. Since then, she has had no contact with the outside world having no access to internet, phone, or visitors.